Unisoft plus LLC is an independent software development and research company. BicyclingWorld.com has established a collection of up-to-date bicycling tours as well as a collection of goods and services. Through the use of patented W5 search tool, it allows cyclists to prioritize the characteristics of a tour that are most important to them. Thus, it makes the experience of finding the perfect tour a pleasurable one by ensuring that the personal needs, wants and limitations of each cyclist are used to match them with their ideal tour. This is an intranet browser-based enterprise-wide application meant to integrate information and business processes within a company, which purchases, processes and sells ferrous and non-ferrous industrial metals. The portal is designed to aggregate and personalize information contributed by several applications, which help the management to plan, control and analyze value chains in production and logistics. ‘Request for Technical Assistance’ management system is an intranet browser-based enterprise-wide software application. It appreciably helps the staff to manage the process for securing technical assistance for telecommunication network devices, components and equipment based on the company’s failure notification and trouble ticketing systems. The system manages key tasks such as identification, prioritization, assignment, resolution and notification. This project management system for a construction enterprise allows the management to control key business processes, which may impact on the construction project cost and schedule (construction planning, subcontractors, materials procurement, project monitoring, etc). 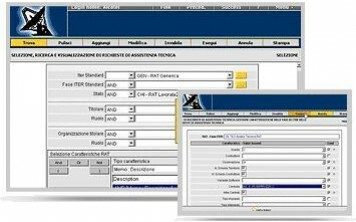 The application produces accurate and up-to-date information, which helps constructors to deliver their projects on time and on budget. 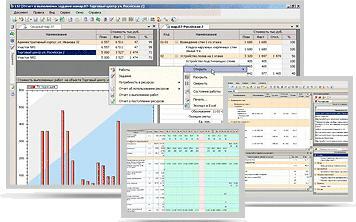 This software was developed for an international company with subsidiaries all over the world. The browser-based enterprise-wide software application considerably facilitates management of reclamations and complaints flow. It helps to easily create, address and process all the reclamations, which are sent within the enterprise as well as by clients. USPExpress is a series of .NET components aimed to parse and evaluate scientific, engineering and other expressions on-the-fly. USPExpress products have been widely used in numerous enterprise-level applications for over 10 years now. The software allows user to collect data from various sources, to filter and group them, and then to display the data using integrated reporting and graphical capabilities, thus appreciably facilitates the process of data analysis. This is a .NET application with overall purpose to enable flexible and accurate budgeting process. Along with the core functionality of a classical budgeting system, the software provides many additional valuable analytical capabilities. "We had a problem to collect and process all the information related to the services that we provide to our patients in our clinics. With about 600 patients a day in one clinic it is not easy to have up-to-date information on your desktop. Unisoft plus created a system that could suit exactly our needs. We are currently using the second generation of the software system that allows us to integrate all information covering our all-administrative, financial, and clinical activities." Unisoft plus is an independent software development and research company. The company’s office and research and development team are based at the Siberian Scientific Center in Novosibirsk, Russia. Unisoft plus began working in the international market in 1994. Since that time, Unisoft plus has been providing software design, development and reengineering services to a broad range of enterprises in Russia, the United States, the United Kingdom, Switzerland, Denmark, Italy, Germany and other countries. The company has been working very effectively as a full partner with the client’s in-house software design and development teams. In the age of the Internet, the distance between Unisoft plus and its partners is not an obstacle to business relationships across borders or oceans! Many years of experience in completing projects successfully in the international market can prove that! Unisoft plus is confident in its ability to complete competently, professionally, in a timely manner and on budget practically any software development project. Unisoft plus offers software development services in two broad categories, which are business and technical application development. The company also provides services in reengineering and porting of legacy software to newer operating environments and computing platforms. Unisoft plus consistently pursues its strategy of employing proven, industry-standard component-based software engineering technologies based on multi-tier architectures to deliver efficient and successful software applications for bottom line results. 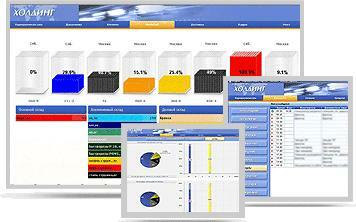 In the last ten years Unisoft plus has delivered more than 80 diverse applications/solutions. Support of USPExpress .NET CFE products is discontinued. Support of USPExpress .NET CFE products will be discontinued in August 2018. USPExpress .NET Pro SL support is discontinued.